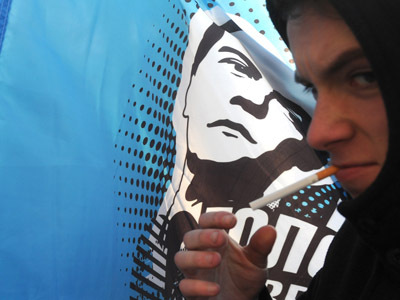 A group of Russian opposition activists has welcomed President Dmitry Medvedev’s initiative to make a number of moves towards political reform before his term ends with Vladimir Putin’s inauguration. 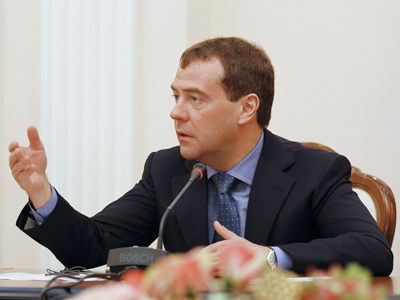 The group, called the March 12 Roundtable, released a special statement in which it said that Medvedev’s desire was in line with the community’s demands and expectations. The gathering consists of the members of the unregistered pro-market party Parnas, the head of the leftist street movement Left Front, human rights activists from the Moscow Helsinki Group and some other figures. At the same time, the address reads that the Russian liberalization project needs to be amended. The opposition activists stated that the reforms must go further than the proposed easing of the formal demands on political parties, greater party access to elections of all levels, and the return of direct gubernatorial elections. They listed guarantees to the freedom of mass media, the liquidation of the de-facto censorship in all forms, changes in the elections system that would ensure the candidates’ equal rights for registration and campaigning. 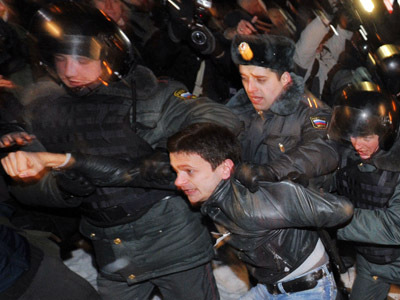 The activists also demanded the introduction of a clear law norm that would preclude the president of the country and the heads of Russian regions from remaining in their posts for more than two terms, consecutive or otherwise. 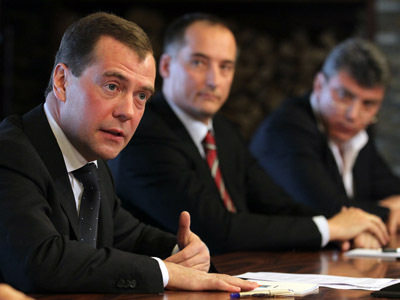 The group welcomed the discussion of political reforms within the working group created by Medvedev, especially for assessing the bills that have been approved by the Lower House in the first reading. The head of the Left Front, Sergey Udaltsov, has told reporters that the second session of the working group will take place on Monday and promised to press for all the amendments suggested by the opposition to be submitted to the State Duma.